The Employment and Skills service and Wiltshire Careers will be hosting various ‘drop ins’ during National Apprenticeship Week across Wiltshire. You will be able to find out information on apprenticeships, whether you are looking to hire an apprentice or start an apprenticeship – no matter your age! 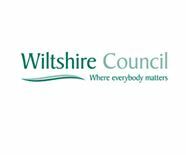 Wiltshire Council Careers team will be on hand to talk about Wiltshire Council’s apprenticeship programme. Staff will be on the stand in the Atrium, next to the library entrance between 10am – 4:30pm in Trowbridge but all materials will be available if you would like to stop by outside of these hours.